This Week’s Features: Easy ways to pep up your plot, Bindweed: Beauty or Beast and Handsome hostas and expert tips on how to grow them. Carol Klein explains how to think big for a small space. Our Garden of the Week is a windy Pembrokeshire garden packed full of beautiful and interesting plants, with surprises around every corner. 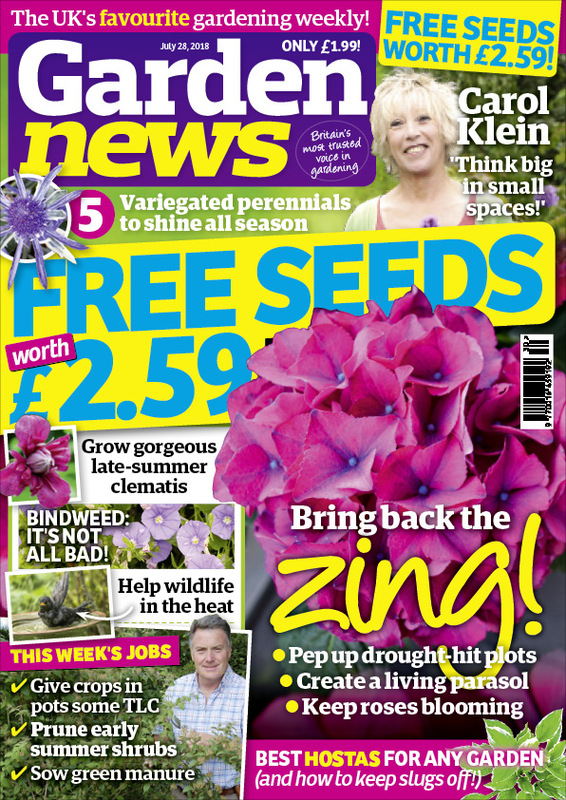 The Garden News Team are helping summer garden wildlife, pruning early summer flowering shrubs and keeping up yields. Garden News Expert Contributor: Dave Gillam on the 10-year-old boy that is taking the dahlia world by storm, whilst Dave Kenny shows how you can keep your roses blooming throughout the summer.